Cairns is a city of 120,000 in the far north of tropical Queensland where a laid back tropical lifestyle meets the excitement and vitality of a major international tourist destination. 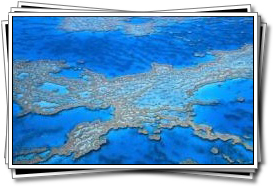 The city serves as a gateway to visiting the Great Barrier Reef, a reef about 1,500 miles (2,500 kilometres) long made up of countless reefs, coral cays and islands. Cairns is the focal point of the north of Queensland, and is the ideal base for exploring the huge variety of this area. Where was once a marginal frontier town is now a small but international city that is scenic, welcoming and accessible. 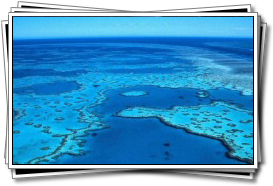 The Great Barrier Reef is a spectacular wonderland that never fails to amaze, and is one of the great natural wonders of the world. Just beneath the surface of the warm, crystal clear tropical waters lie brightly coloured coral expanses that are teeming with an unbelievable array of sea life. 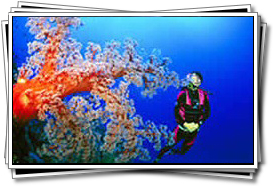 It is possible to explore the deep recesses of the reef in scuba gear or get an amazing view by snorkeling just below the ocean surface, or even stay completely dry and view the amazing vistas from semi-submersibles. Up and down the reef are islands, some private but many of which can be visited. These include islands with 'family friendly' resorts and uninhabited paradises of natural splendour where you can camp under the stars just up the beach from the gentle crashing of the waves. 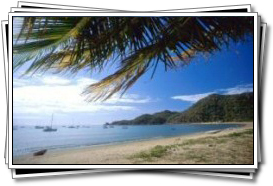 Many of the picturesque islands are surrounded by magical gardens of coral that teem with an amazing variety of marine life, while the golden virgin beaches reach up to forests filled with rare and exotic birds. 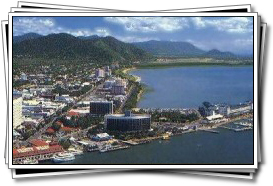 Cairns, the gateway city to Great Barrier Reef, has a hot and often humid summer due to its location in tropical Northern Queensland. The highest rainfall tends to be during the period from January to March. In the Dry Season of May to October when rainfall is lower and temperatures average around 27°C.